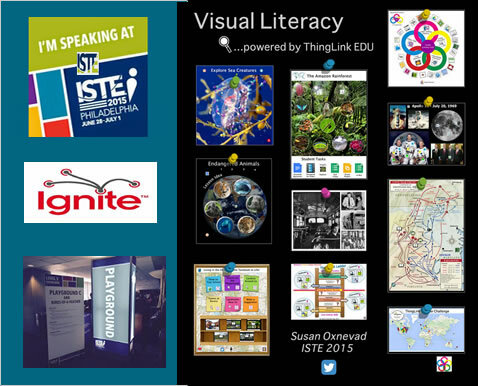 I’ve created a poster to highlight the interactive images shared during my poster and playground sessions at ISTE. I hope this poster will be helpful for helping all of the amazing educators I spoke with to quickly access the resources. Click the thumbtack icons to view these interactive images and slideshow channels and explore the powerful possibilities for teaching and learning with interactive images.